MUNICH --- NATO and EU member state Hungary is modernizing its land forces and seeking a European alliance for its equipment. As part of this modernization process, Hungary signed a contract for the procurement of 44 new Leopard 2 A7+ main battle tanks and 24 new PzH 2000 howitzers with German defense technology company Krauss-Maffei Wegmann (KMW) on December 19th, 2018. 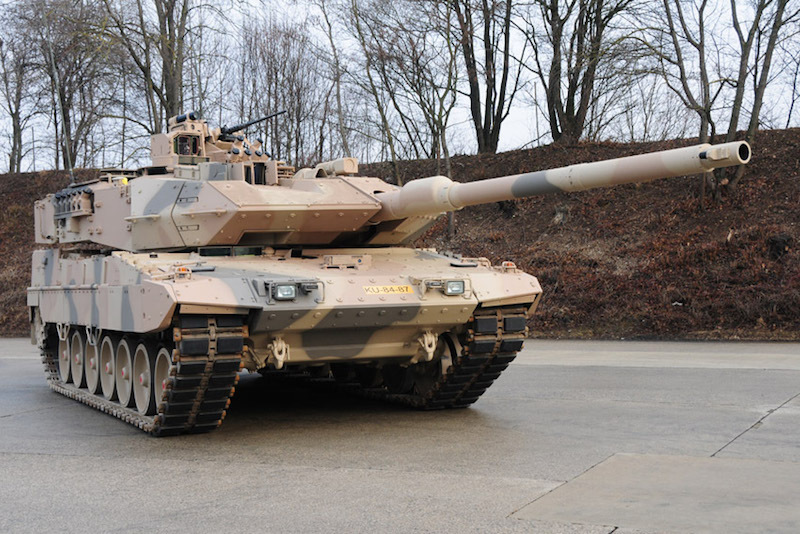 In addition, Hungary is procuring 12 used Leopard 2 A4 main battle tanks from KMW’s inventories for training purposes. The project represents a further step toward greater interoperability between European armed forces. Hungarian Defense Minister Tibor Benkő emphasized that the contract would strengthen the smooth and extensive cooperation between the German and the Hungarian Armies. Krauss-Maffei Wegmann, a member of the German-French defense technology group KNDS, leads the European market for highly protected wheeled and tracked vehicles. At locations in Germany, Brazil, Greece, Mexico, Singapore, the United Kingdom and the USA more than 4.000 employees develop, manufacture and support a product portfolio ranging from air-transportable, highly protected wheeled vehicles through reconnaissance, anti-aircraft and artillery systems to main battle tanks, infantry fighting vehicles and bridgelaying systems.